Including the cold-weather skincare products they swear by. 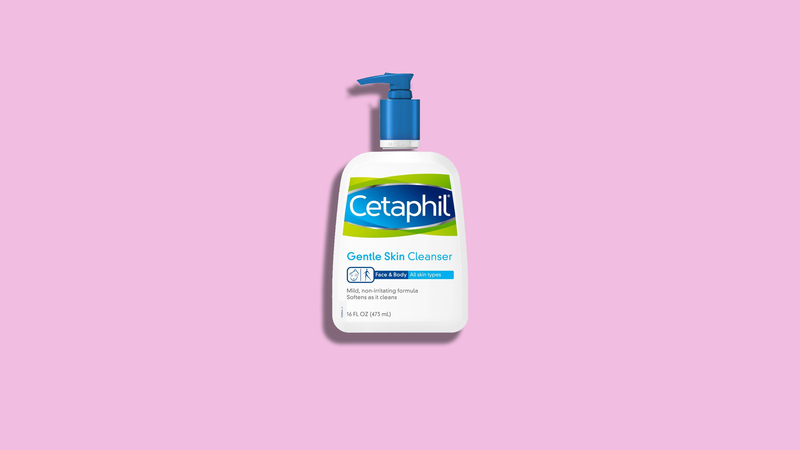 Let’s be honest, cold weather doesn’t do your skin any favors. All of a sudden, your hands feel like sandpaper and you may find yourself wondering, Since when is eyebrow dandruff even a thing? Believe it or not, dermatologists have the same winter skin problems, and they have to deal with them just like the rest of us. When the air starts to chill, your body tries to hold in heat by narrowing the blood vessels, says Debra Jaliman, MD, dermatologist and assistant clinical professor of dermatology at Icahn School of Medicine at Mount Sinai Hospital in New York City. As a result, she explains, the outer layers of the skin become dry and dull, leading to pesky problems like flakes and cracks. But the cold doesn’t discriminate, meaning even skincare professionals have to resort to strict winter skincare regimes. We spoke with six dermatologists and got the inside scoop on how they care for their skin when the weather gets cooler. Sure, what they tell us when we're sitting in the patient chair is one thing, but the advice they actually take themselves, now that’s a whole different story. "First, I wash my face with a hydrating cleanser," says Joshua Zeichner, MD, director of cosmetic and clinical research in the department of dermatology at Mount Sinai Hospital in New York City. The key word here: hydrating. "Especially in wintertime, it’s important not to strip the skin of essential oils,” Dr. Zeichner adds. Neutrogena Ultra Gentle Hydrating Cleanser ($8; amazon.com) is his go-to during dry, frigid months, since it gets his skin squeaky-clean without compromising its protective barrier. Deanne Robinson, MD, FAAD, president of Modern Dermatology of Connecticut, says she relies on ISDIN Micellar Solution ($28; amazon.com) for the same reason. She prefers non-soap cleansers like this one to remove makeup while hydrating at the same time. Sheet masks allow rejuvenating ingredients to really soak into the skin, Dr. Jaliman says, which is why she puts one on right when she hops out of the shower. Her all-time favorite is Lierac Paris Comfort Mask ($22; dermstore.com). “This is good one to try because it contains shea butter, mango butter, and apricot oil,” she says, adding that these three ingredients have high concentrations of nourishing vitamins and fatty acids. It's no secret your skin needs a moisture boost when humidity drops. Every dermatologist we spoke to stressed the importance of moisturizing as the seasons change, but they all had a slightly different way of doing so. “I prefer ceramide-based products because this fatty acid is essential to our skin barrier and function,” Dr. Robinson says. She uses SkinBetter Hydration Boosting Cream ($80; skinbetter.com) to help lock in much-needed moisture. And Dr. Jaliman loves CeraVe Daily Moisturizing Lotion ($11; amazon.com) because it contains both ceramides and hyaluronic acid, which plumps skin to fight dryness. Pro tip: Buy a moisturizing body wash. Dr. Jaliman uses Dove Deep Moisture ($10; amazon.com) to save her skin from the stress of washing. While Doris Day, MD, director of Day Dermatology and Aesthetics, takes it one step further by applying Olay Ultra Moisture ($13; amazon.com) with the Clarisonic Mia Smart Cleansing Brush ($199; amazon.com), an electric tool that claims to cleanse six times better than hands alone. “I find that I need less of the wash and am able to spend less time in the shower,” Dr. Day says. Dr. Robinson trusts ISDIN Eryfotona Actinica Ultralight Emulsion ($70; amazon.com) to protect her skin from harmful ultraviolet rays. This zinc-based cream contains both vitamin E and photolyase, an enzyme that works to repair the skin, meaning it both protects from and heals sun damage at the same time. And remember, “sun protection is for every day, not just sunny days,” Dr. Robinson adds. Deirdre Hooper, MD, co-founder of Audubon Dermatology, says she uses moisturizing sunscreen to fight the endless battle with dry skin. She likes EltaMD UV Lotion Sunscreen ($34; amazon.com) and Supergoop City Sunscreen Serum ($42; amazon.com). “Antioxidants are like fire extinguishers that put out inflammation caused by free radicals,” Dr. Zeichner says. “They also help brighten the skin by blocking the production of abnormal pigmentation.” PCA Skin C and E Max Strength ($95; amazon.com) is Dr. Zeichner’s serum of choice. He says it comes in an anhydrous base, meaning it doesn’t contain water and goes on smooth like a cream. Dr. Robinson says she uses ALASTIN Restorative Complex ($195; alastin.com) because it supports the “building blocks” of her skin. What she means is, the blend of peptides and botanicals in the serum have been shown to increase the production of collagen and elastin, or the proteins that are responsible for the firmness and elasticity. Vitamin C also promotes collagen formation and works to repair damage, which is why Dr. Hooper uses Revision Skincare Vitamin C Lotion, 30% ($119; amazon.com). She says in her experience, a lot of vitamin C products sting, but this one is extremely gentle. If you have sensitive skin, this might be the serum for you. Some of the pros even turn to their kitchen pantries to soothe winter skin. Dr. Jaliman says she uses yogurt as a source of lactic acid, which aids with exfoliation. Yogurt can also calm skin that's irritated from the weather because it contains inflammation-fighting vitamin E, she adds. Looking to lock in moisture? Dr. Jaliman says an oatmeal bath is an easy way to remove dirt and grime while also hydrating. Next up: honey. It’s a natural moisturizer and is full of antioxidants, she says. “It also has antibacterial properties and helps with irritation and acne.” Last but not least, coconut oil falls under that same category because of its moisturizing and antibacterial qualities, Dr. Jaliman says. There’s nothing worse than wearing a black shirt to work and suddenly noticing snowfall on your shoulders. To keep their scalps flake free, both Dr. Jaliman and Dr. Zeichner use Dove DermaCare Scalp Dryness and Itch Relief Anti-Dandruff Shampoo ($13; amazon.com). It contains the ingredient zinc pyrithione, which reduces dandruff-causing yeast on the scalp, Dr. Zeichner says. It might sound silly, but Dr. Zeichner lathers the shampoo into his hair and then sings the alphabet out loud before rinsing. “It ensures enough contact time on the skin for it to do its job,” he says. And hey, we could all use a new song to sing in the shower. Almost all of our derms agreed that chapped lips are a fact of life during winter, but by regularly applying a hydrating balm, they do what they can to stay ahead of the dryness. “Lips become chapped because when people go out in the cold and don’t protect their lips, they tend to get wind burned,” Dr. Jaliman says. Overheated homes also play a role, she says, and humidifiers can help. Any balm that contains wheat germ oil, almond oil, jojoba oil, coconut oil, aloe vera, shea butter, sunflower oil, or cottonseed oil,will do the trick Dr. Jaliman says, but her absolute favorite is calendula oil. She also says she avoids long-lasting or matte lipsticks because their ingredients tend to cause dryness. And if worse comes to worse, and her lips become severely chapped, Dr. Jaliman turns to over-the-counter hydrocortisone ointment to kickstart some serious healing.